Haochen Zhang’s Liszt proved both musical and highly virtuosic. The grand fortissimi were powerful and the more introverted moments properly subdued. Even at the loudest bars, he maintained a warm, pleasing tone. Mr. Zhang closed the program with Prokofiev’s Piano Sonata No. 7, a bright, virtuosic work, which enabled him to go out in a blaze of technical display, but not without musical substance. New York Arts full review. The Kinderszenen are lovely, and he alternates between a gauzy dream state and great heat in the Liszt. Janácek arrives with a finely shaped sense of quiet, questioning wonder. Zhang's love for Brahms was clear at that Curtis recital. So, too, here, where he uncovers ideas well beyond those apparent from just the written note. Zhang is a very young man but plays with the depth and power of a very old musician. He plays with a gentleness and ease, effortlessly flowing throughout the sporadic shifts within Rachmaninoff’s score. Zhang returned to the stage for a contemplative and sweet encore which truly showed off his excellent prowess. Once again, I have called upon [Boston Musical Intelligencer] writers to recall favorite concerts and recordings from the parade gone by. The following list serves to remind us of 2016’s musical riches. 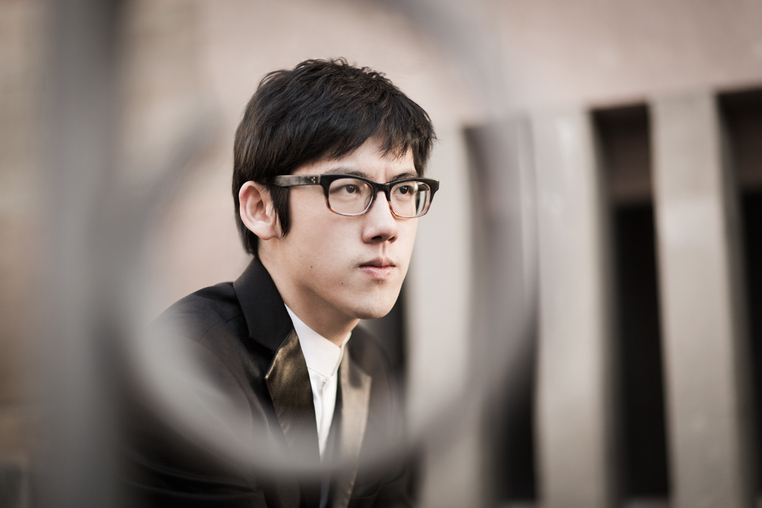 From his entry on the piano, coming after the brooding orchestral introduction, it was clear that Zhang has a natural affinity for and a temperament that is ideal for Mozart. The 26-year-old plays with a refreshing blend of directness and maturity. His effortless phrasing, fluent articulation and rhythmic precision were beyond reproach and his solo entries were perfectly synchronised with the orchestra. While the concerto showed off Zhang's consummate musicianship, it was his encore - a cheeky arrangement by Acardi Volodos of Mozart's Rondo Alla Turca - that gave the audience a glimpse of his amazing technical ability. Beginning with the original notes of Mozart's Rondo, it soon made way for increasingly bold and witty counterpoint, until the well-known melody transformed into a virtuosic showcase. Zhang, at 24, has all the qualities of a great Rachmaninoff interpreter. He can execute warp-speed passages in a whisper, release great surges of energy, command a stentorian sound when things get heroic and, above all, spin out a golden singing line with aristocratic restraint. Zhang’s demeanor at the instrument is poised, relaxed, almost serene. Then, when you least expect it, as in the first-movement cadenza, it’s as though the mouth of hell has opened up, flames leap from the piano strings and the odor of sulfur fills the air. Zhang’s dazzling playing is without gimmick or ostentation. His imagination is what keeps you on the edge of your seat and breathless to hear what comes next. Pianist, conductor and orchestra achieved a rare hand-in-glove sense of ensemble. The instantaneous, vocal standing ovation was as inevitable as it was deserved.